If your email response and conversion rates are lower than you’d like, you can bet it’s because of sub-par email marketing copy. While there’s no magic wand or AI program that can craft perfect emails for you (not yet, anyway), there are some do's and don'ts for your email marketing you can implement to supercharge your email copy and convert more leads to buyers. Why Email Marketing for my Construction Company? Email is the marketing category generating the highest return on investment (ROI) for marketers. For every $1 spent, email marketing generates $38 in ROI. But some businesses are still reluctant to take the leap. Find out why it's worth the effort for your construction company. Automation. It’s where the world seems to be headed, isn’t it? What if you could add something to your website and have an email newsletter that generates automatically and sends your newly added projects and blog posts to your list? An automated system for your website that talks your email and BAM! makes it for you? Drum roll please... There is a way! The most important trick to building your email list is to integrate it with your company culture. Here are 8 tips for how to build your list with confidence. 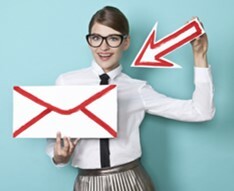 If you want high ROI from your marketing materials, you may want to consider email marketing! Read more about the other ways email marketing can help build your commercial construction business. Even the best commercial construction company is going to struggle with acquiring new customers if they can't effectively communicate the professionalism and quality they invest in their projects. 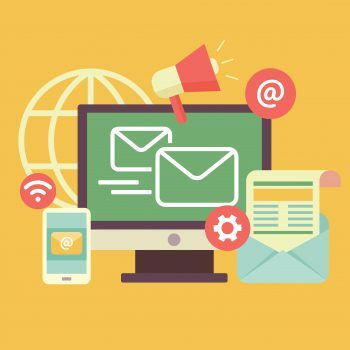 Pursuing an email marketing strategy can assist with jumping that communication hurdle. We advise commercial construction companies to adopt email marketing for 7 reasons.